Two years after London is struck by a devastating terrorist attack, it is cut off from the rest of the world, protected by a large force of soldiers (known as Choppers) while the rest of Britain believe that their ex-capital is a toxic, uninhabited wasteland. But that's not true. 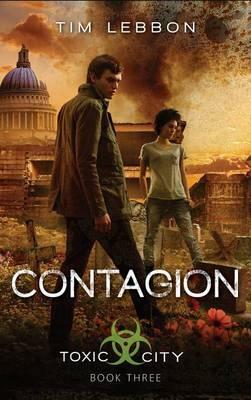 Jack and his friends know that the truth is very different--and incredible: the few remaining survivors in London are changing; developing strange, fantastic powers; evolving. And the Chopper force guarding London is treating the ruined city as its own experimental ground. Now, Jack's powers are growing. His friend Lucy-Anne's powers are developing too, and Nomad--that mysterious woman who started it all--is close by. But the Choppers have initiated their final safeguard--a huge nuclear bomb that will wipe out London, and everyone still within its boundaries. Jack and his friends must spread the news of the bomb and save everyone they can. Before that can happen, Jack must face his father, the deadly Reaper, in their final showdown.